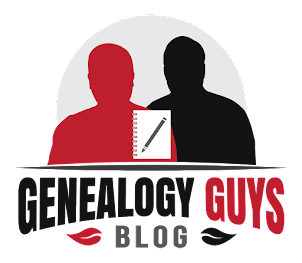 When we start out researching a particular brick wall genealogical question, it is probably a good idea to re-confirm some of the information that leads us to the brick wall. The Application for Social Security Account Number (the SS-5) for my maternal grandmother, Elizabeth "Lizzie" King Martin, identifies her parents as Robert King and Elizabeth Foshee. The Laurens City Cemetery in Laurens, South Carolina, has a stone for Elizabeth Foshee King (identified there as Bettie King, born 1845 and died 1929). An image of the stone appears on Find A Grave. Her stone is next to that of her husband, listed on his stone as R. B. King. The Spartanburg [S.C.] Herald has an obituary in its December 2, 1928 issue for Mrs. R. B. King, indicating that she was 84 at the time of her death on November 30. This conflicts with the death year on the stone (but the stone might have been placed in early 1929). Based on her age in the obituary, her birth year would be as early as 1844, or even 1843 if she was born after November 30 of that year. The South Carolina Department of Archives & History has an index entry indicating that Bettie King of Laurens applied for a pension based on Robert B. King's military service in the Civil War. The actual application indicates that Elizabeth was born August 6, 1844, and married her husband on January 27, 1869. Before we start looking for Elizabeth Foshee before she married Robert B. King, let's look at her in census records with Robert, starting with 1920 and going backwards to 1870. In 1910, 64-year-old Lizzie King is living in Laurens with her husband Robert (as well as with the Rickmans). In 1900, 52-year-old Mrs. S. A. [?] King is living in Laurens with her husband Robert, as well as children Walter B., Lizzie (my grandmother), and Sussie. In 1880, 26-year-old Bettie King is living in Laurens with her husband Robbert and their 7 oldest children. How long did it take for your SS-5 to get to you? I sent one out last year. I received a card they received my application and money, but I have yet to receive the SS-5! !